by Joshua Wieder Yorgos Lanthimos’s latest film The Lobster is a peculiar specimen, to say the very least. The premise is exciting; in a dystopian universe, single individuals are forced to stay at “the hotel,” where they are given 45 days to find a romantic partner. If they don’t find a partner, they will be changed into an animal of their own choosing via a mysterious transmogrification process. The central narrative follows a somewhat average man named David (Colin Farrell), who chooses a lobster as his animal of choice, hence the title. I don’t mean to insinuate that David is normal by our standards, rather that he is normal within the very strange parameters of the film’s universe. If you have difficulty digesting bizarre or embarrassing social interactions in films, I would highly suggest avoiding this film. The behavior of the characters is very distant from what you or I might consider normal. The acting doesn’t stand out one way or the other, but this is integral to the film’s success. The actors intentionally subdue their performances in the same way that musicians in an orchestra strive to assimilate their sound into the music rather than let their instruments be heard above the rest. This style of acting allows for a more natural development of the characters. Many psychological theses could be composed with reference to the characters in this film. Their behaviors are so strange, yet so deliberate. But hidden beneath the complexity of the character’s motivations, which at first seem perfectly clear, is a certain abstractness which later ruins the film. There is a plot development about midway through the story that severely disrupts the film’s rhythm. This, in tandem with a few other hidden flaws that seep out of the woodwork, eventually ignites the slow combustion of the narrative and, tragically, greatly diminishes the work’s genius. 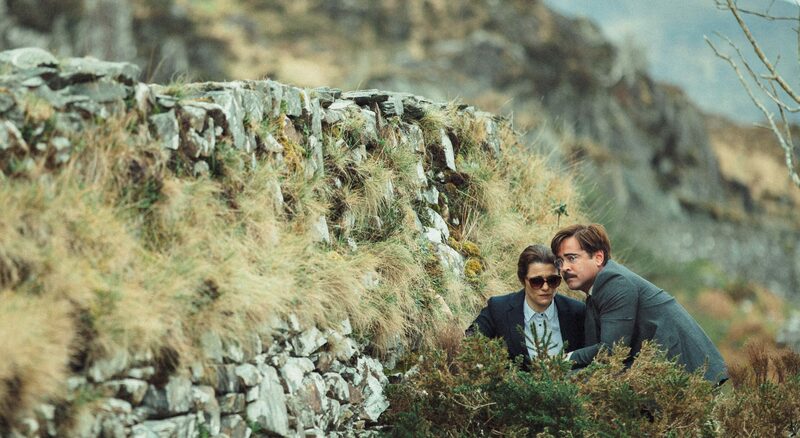 Technically speaking, The Lobster is excellent, even immaculate at times. One particular scene comes to mind: David and the other guests of the hotel must periodically hunt deserters of the hotel’s program that have escaped to the woods. The first instance of such a hunt is filmed in slow motion and backed by the melodramatic tenor of a classical symphony orchestra. The direction allows particular images to settle evenly in the eye of the viewer. This particular scene is so poignant, so well filmed, so precisely executed, and so bitingly funny that it may merit a viewing all its own. But beyond singular bouts of excellence, it is the composition of the film’s first act that elevates it so high above its second act. Interactions between characters seem more crisp and more clearly inspired. There is something strangely relatable about their motivations, otherworldly as they may be. The film is ruined by its second half, there is no doubt in my mind about that, but I suppose that is only because I expected so much. Watching The Lobster was ultimately like watching the slow obstruction of a beautiful sunset by a rogue cloud on the horizon. Tags: Joshua Wieder. Bookmark the permalink.